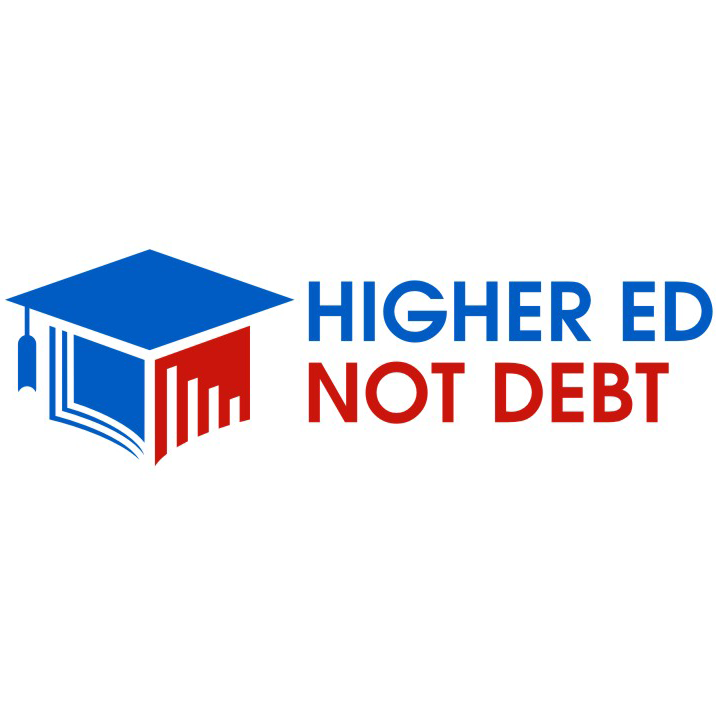 This is part of an ongoing series by Higher Ed, Not Debt highlighting student debt issues and personal stories across several states. The student debt crisis in the United States continues to grow, and the impact of the crisis is being felt across the lives of 44 million people across the country. Totaling at $1.5 trillion nationwide, student debt has a significantly debilitating effect on the lives of students and families. It presents a fundamental issue that majorities of the public want to see addressed. Collectively, California borrowers owe more than $129 billion in federal and private student loan debt. While data on the total number of federal and private student loan borrowers is limited, we at least know that the total number of federal student loan borrowers in California is above 3.7 million, according to the office of Federal Student Aid. Including people who only took out private loans, the total number of borrowers is expected to be higher. In 2017, 50% of BA graduates in the state incurred student debt from an ever-increasing price of higher education – their financial futures foreclosed upon due to this debt. On average, Californians who graduated from public or private 4-year colleges owe more than $22,700 in student loans: the 4th lowest average in the country. While this average is low compared to other states, California is one of the most expensive states to live in in terms of housing costs. This factor, in addition to factors such as average income, the nature of student debt burdens Californians looks different from the raw average amount. However, this debt doesn’t just come from college tuition and fees alone. In addition to the holistic costs of the college experience (housing, food, transportation, materials, etc), students may find themselves deeper in debt because of predatory practices by student loan servicers. Hundreds of thousands of borrowers are subject to the exploitative practices of student loan companies that increase borrowers’ debt burdens through sloppy servicing and deceptive counseling practices. Others are victims of for-profit college scams. After the uncovering of widespread fraud and abuse among some of the largest for-profit college chains, defrauded borrowers are still left holding the bag. To best show the real affects of the student debt crisis, we want to go beyond data alone. We want to share some the stories that Californians submitted to us that illustrate the many ways that student debt is impacting their lives, and their calls to fix this crisis. These people could be your neighbors, your co-workers, they could even be you or members of your family. Their stories are relatable, and therein lies the problem: too many people are suffering under student debt, and more will if we don’t tackle college costs and crack-down on predatory practices by industry. We must solve this student debt crisis for Californians and for the rest of the country.